The Qal'at al-Bahrain, also known as the Bahrain Fort or Portuguese Fort, is an archaeological site located in Bahrain, on the Arabian Peninsula. Archaeological excavations carried out since 1954 have unearthed antiquities from an artificial mound of 12 m (39 ft) height containing seven stratified layers, created by various occupants from 2300 BC up to the 18th century, including Kassites, Greeks, Portuguese and Persians. It was once the capital of the Dilmun civilization and was inscribed as a UNESCO World Heritage Site in 2005. The archaeological findings, which are unearthed in the fort, reveal much about the history of the country. 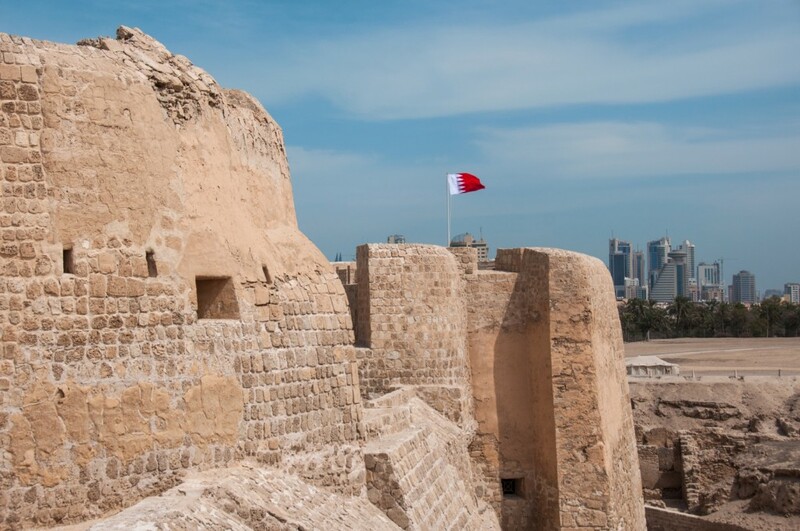 The area is thought to have been occupied for about 5000 years and contains a valuable insight into the Copper and Bronze Ages of Bahrain.The first Bahrain Fort was built around three thousand years ago, on the northeastern peak of Bahrain Island. 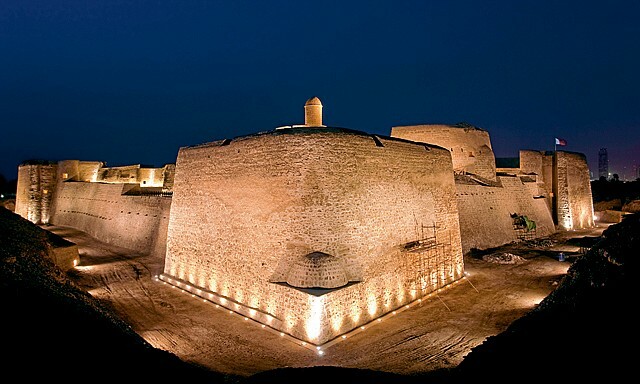 The present fort dates from the sixth century AD.The capital of the Dilmun civilization, Dilmun was, according to the Epic of Gilgamesh, the "land of immortality", the ancestral place of Sumerians and a meeting point of gods.